Ride 7,000 acres of mountain trails, Cross fresh mountain streams, ride to the falls of the bluff or top of the bluff for spectacular, scenic views Open Year Round – weather permitting. The Comedy Barn is America’s funniest family variety show. We feature nationally known clean comedians, magicians, jugglers, ventriloquists and fun barnyard animal acts. Great music, too! With everything from country to gospel to bluegrass. This show is suitable for the entire family and is packed with fun, laughter, music and magic Show Time 8:15pm. Handicap Seating. Voted “Best Show in the Smokies” and “Best Live Country Show in America” three years in a row by the CMAA, Country Tonite explodes with the best vocals, dance, comedy and excitement of any show in America! It has the perfect combination of new and old country classics that provides nonstop entertainment. Come and enjoy a delicious four-course meal. Be dazzled by a horse-racing, whip-cracking, wagon-busting good time complete with a friendly North/South rivalry, 32 magnificent horses, beautiful belles. For white water adventures that range from mild to wild, visit this 25-acre water park, Located just down the road from Dollywood. Theme park for all ages! Thrill rides, children’s ride area, shows, great food and more! Elvis fans will love our Incredible Salute to Elvis & Friends, starring Lou Vuto, with Charlie Hodge, the sensational Memories Showband, and The Three Inspirations. Show Time 8:00pm. Parkway Sevierville Scenic Helicopter Tours provide your family with the adventure of a lifetime. All flights view mountains. 8 flight choices from 3 to 40 minutes. All aircraft and Pilots are FAA certified. Aerial Weddings and Honeymoon flights available. Located at the intersection of Interstate 40 & Route 66 Exit 407 then turn Right The Smokies are a member of the Southern League of Professional Baseball and the National Association of Professional Baseball Leagues. An interactibe museum that celebrates the ship, passengers and crew! The Track family fun center has something fun for all ages. 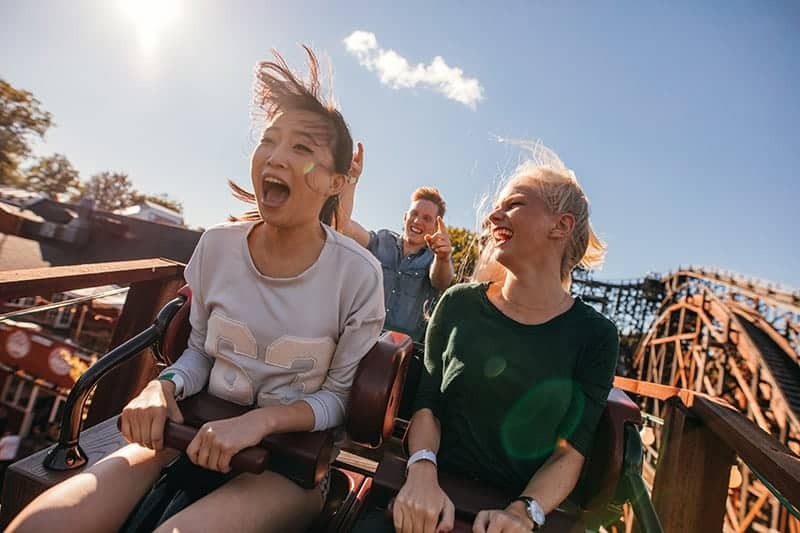 We offer a traditional go-kart track, “The Wild Woody” a three tier wooden track, bumper boats, bumper cars, two themed mini-golf courses, two family arcades with skee-ball, bungee jumping and more! Enjoy a river of adventure surrounded by a mountain of fun! NO EXPERIENCE NECESSARY. Trips for children as young as five. Five great rivers near Pigeon Forge.Let our friendly, professional guides help you create a family tradition of fun! Mar – Oct. Partially handicapped accessible.